On Sunday, Planned Parenthood celebrated 100 years since its first clinic opened its doors. 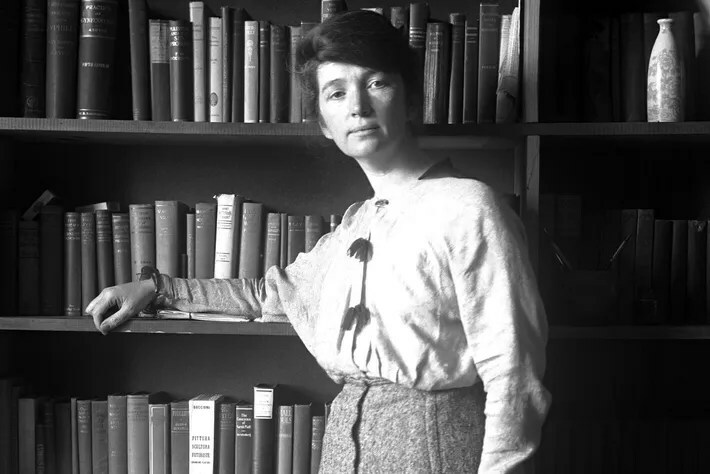 That very first clinic, opened by birth-control activist and educator Margaret Sanger in the Brownsville neighborhood of Brooklyn, was shut down after being open only ten days. Sanger was sentenced to 30 days in a workhouse for being a public nuisance. (She’d avoided jail only two years prior for distributing an illicit newspaper on the subject of birth control, called Family Limitation.) One hundred years later, there are 650 Planned Parenthood clinics serving communities across America — but the fight for women’s reproductive rights and access to care is not over. Margaret Sanger’s grandson Alexander was the president and CEO of Planned Parenthood in New York City from 1991 to 2000; he’s now the chair of the International Planned Parenthood Council, a role he performs as a volunteer. Though Sanger didn’t begin his career in Planned Parenthood, once he decided to work in the field he says he was so invigorated by his grandmother’s mission that he never looked back. Sanger spoke to the Cut about the momentous anniversary, his grandmother’s legacy, and what work still needs to be done. What was Margaret Sanger like?She was feisty. The daughter of Irish immigrants, she grew up in pretty precarious circumstances. I think they were literally shanty Irish when they were living in Corning, New York. She had an 11th-grade education, and everything after that she was self-educated. She was very ambitious. She started out as a kindergarten teacher and then, through a friend, she decided to go to nursing school. That was going to be it for her. Then she met my grandfather, who was an architect and a German-Jewish immigrant. He was the one who introduced her to the radicals of New York. He was the entry point for her into this world of activism. Women’s health care was so poor and precarious at the time — this was around the early 1900s. She came to this breaking point — after being inspired by the radicals and labor organizers she was associated with — where she said, “I’ve got to do something.” She was indicted on nine counts of obscenity for distributing a newspaper called Family Limitation, which was a pamphlet all about birth control. She was facing 45 years in federal prison when she was 35 years old. She had three children at that point. In order to avoid standing trial, she ended up fleeing the country. When she came back, her daughter had died. The government didn’t want to make a martyr out of her more than she was, so they dropped the charges. She went on a nationwide speaking tour afterward, and that’s where everything started. How did you come to understand the legacy that your grandmother had built? Why did you get involved in this work?The most extraordinary memory I have is of her giving her last speech. I was 12 at the time — it was 1960. She was not well; she was then 81, and had had several heart attacks. She came out on my father’s arm. The place erupted. Everyone was on their feet, cheering. I was sitting there, realizing who she was. I kind of knew she was famous, but I’d never seen a scene like this ever. In her speech, she said, “The law against birth control was asinine, so I broke it, and I went to jail.” She was not afraid. She was in jail about a dozen times. I think everybody on this planet is glad that she went to jail. I was in college at Princeton when my grandmother died. Because of her ill health, I never talked to her about her work, and by the time I really knew what I wanted to ask her, it was too late. I read the obituaries, which only told part of the story. For my senior thesis, I wrote about my grandmother. I was the first person into her archives after her death. I was the first person to discover all of her affairs, affairs with some of the most prominent men of the 20th century. I was working as a lawyer on Wall Street when fate intervened. I was at the ballet one night with my wife and I saw one of my partners there and he was with this woman who was on the board at Planned Parenthood. When I told her my name, she asked, “Are you any relation to Margaret?” I said yes. “So why aren’t you on my board?” I never looked back. What role do men play in the fight for women’s reproductive rights in America?I said to one of my children once, who had asked me for life advice, that you’ve got to wake up in the morning and bounce out of bed because you feel so invigorated about the work that you do. Planned Parenthood and this movement is part of my soul. Men can feel this just as much as women. I’m not a believer in gender specific roles for men and women in this movement. I don’t pigeonhole myself as a male spokesperson. I’m an ambassador for Planned Parenthood. Clearly men are a major part of women’s problems, but that’s why we work very hard to bring men and boys into our movement, so that they can understand what it really is to be a man. Being a man does not mean beating a woman or treating a woman as a possession. Men have just as much to contribute to solving the problems of reproductive rights in America as women do. What would reproductive rights look like under a Trump presidency?He’s said that he wants to defund Planned Parenthood. He’ll propose more justices like Scalia. I fear a Supreme Court being packed with people wanting to overturn Roe v. Wade. Private fundraising never makes up for public dollars; we would be faced with turning women away. The rest of the country would become Texas. We’re celebrating 100 years of Planned Parenthood this year. What is the next frontier for the organization — say, in the next 10, 20 years? The reality of operating health-care clinics is that we’re part of a health-care system. Every state is different. It’s a very difficult environment to operate in. I have suggested on more than one occasion that Planned Parenthoods in America need to look abroad for examples on how to operate, how to be better embedded in the communities, to defuse opposition, to reach even more women who need help. In Morocco, they not only operate a clinic, they operate an elementary school, a cooking school. They’re providing career paths for young men and women. The people view Planned Parenthood as a community center. It’s important that women and girls in America see these organizations as their allies in the pursuit of better lives.